Innovative inventions by Syska LED bulbs lead to the launch of new App controlled Rainbow LED Bulb with a price tag of Rs. 1999. Syska, a leading brand in the field of LED lightings has again come up with this fabulous invention leaving behind the popular brands in the game. The exorbitant price of Rainbow LED Bulb can be justified with the special features besides just turning on and off. 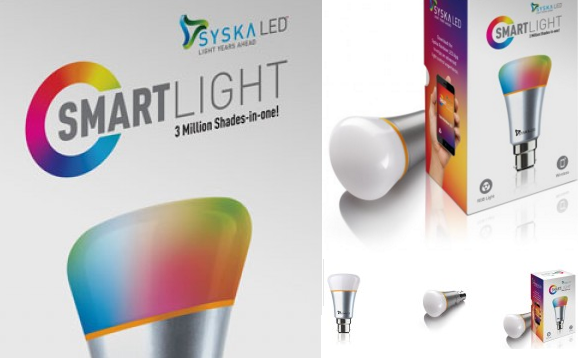 The Syska Bluetooth powered LED bulb is first best step to set a smart home. These bulbs can be controlled as per the convenience just by downloading “Syska Rainbow LED App” on Google Play Store and Apple for both Android and IOS powered smart phones. Multiple bulbs at home can be controlled with this App. The 7W Rainbow LED Bulb is capable of producing 3 million colors with 480 Lumens brightness and 25000 hours of lifespan. Among 3 million colors the bulb is programmed in three varieties of tones including Golden, Silver and White. 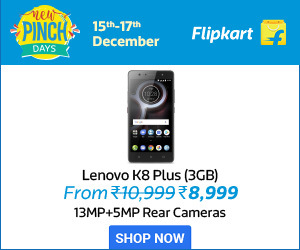 You can save upto 80% on your energy bill. As Colors strongly affect our moods, Syska Smartlight Rainbow LED comes with a unique feature/ ability to dim the lighting to uplift the users’ mood with the changing colors. While changing the color of the bulb, the user can pick the color from Camera or photo which will be sensed as per the visual perception of the snapshot. Users can also schedule the time to on or off the light for all long day and can set different colors for particular time or event. App can also enable alarm clock and stimulate the sun rising and circadian rhythm. Syncing music with the Light along the “Shake & Dance Feature”- Slide the phone in your pocket and the bulb light brightness will change according to the movement of the user while dancing! This multifunctional app also supports the heartbeat measurement which will same be displayed in the form of light emitted out of the Syska Rainbow LED bulb. Besides enjoying brighter and energy saving bulb, it offers interactive Games for the users namely Pinch Bomb, Roar etc. Syska Rainbow LED bulbs are now available with syskaledlights.com and also leading retail stores and E-commerce portals like Flip-kart, snap deal etc. It is not for the first of Bluetooth programmed bulbs. Many Chinese companies have already released such products into the market long back. Well, quality of the products certainly changes and the brand image attracts more consumers in most of the cases.